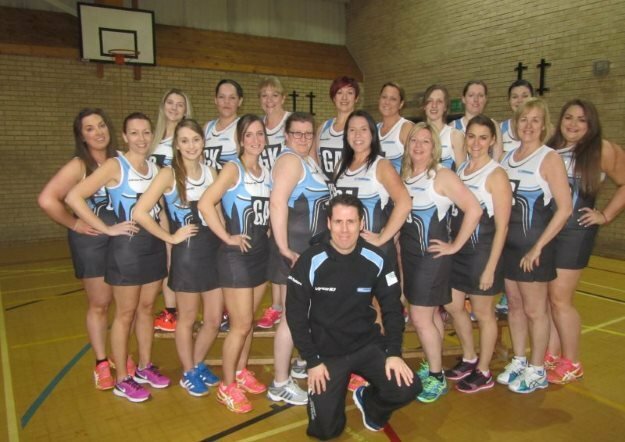 As a successful local business, we're proud to support Coxhoe Crusaders Netball Team. As a co-owner of Lofty Solution, myself Liane Wigham and my husband Matthew Wigham both love to play and watch sport. Matthew enjoys golf and is a member at Knotty Hill Golf Club while I love netball and play for Coxhoe. Back in Jan 2015 through a Back to Netball course, a fantastic bunch of girls from Coxhoe were able to set up our first team Coxhoe crusaders. The club has been very successful and expanded rapidly, going on to open up a second team, Coxhoe Corsairs. We are now in the process of setting our third team up and have 33 members! We play in the Durham City Social League and have entered various tournaments and also held our very first annual tournament last year. We are coached by Vince Robson, who is an England Netball satellite coach. We are training up another coach who is a valued member of the club. The club has gone from strength to strength, winning promotion and we are looking forward to the upcoming leagues. When the opportunity came for Lofty solution to sponsor Coxhoe Crusaders, we jumped at the chance to support such a great local sports team. For good sportsmanship and friendliness you really couldn’t ask for a better group of ladies (and Vince)!! Follow the Coxhoe Crusaders on Facebook.